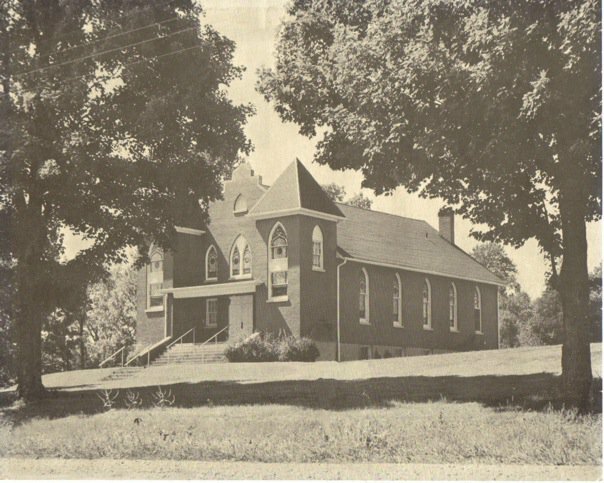 Beulah Presbyterian Church was established in 1868 following separation from the Pennsylvania Run Presbyterian Church which had been organized in 1789. 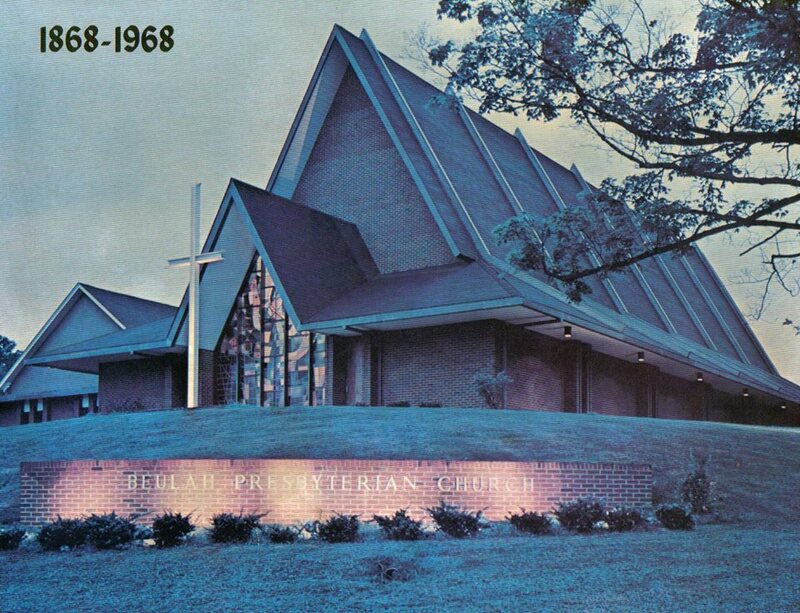 Beulah then joined other churches in the Southern and border states as part of the Presbyterian Church in the United States (PCUS). Beulah has been a member of the Presbyterian Church in the United States of America (PCUSA) since 1983 when the Southern and Northern churches reunited. From 1868 – 1870 services were held in church member Margaret Guthrie’s home, an old stone house across Beulah Church Road from the present church property. In 1870, a church structure was built on the site of the current building. That structure has since been incorporated into the present facilities. A deed, dated 1870, shows that Miss Guthrie, for the sum of $275, conveyed to the Beulah congregation 2 ½ acres of ground on which the church structure was built. In 1927, the leaders at Beulah felt that larger and more adequate facilities were needed. 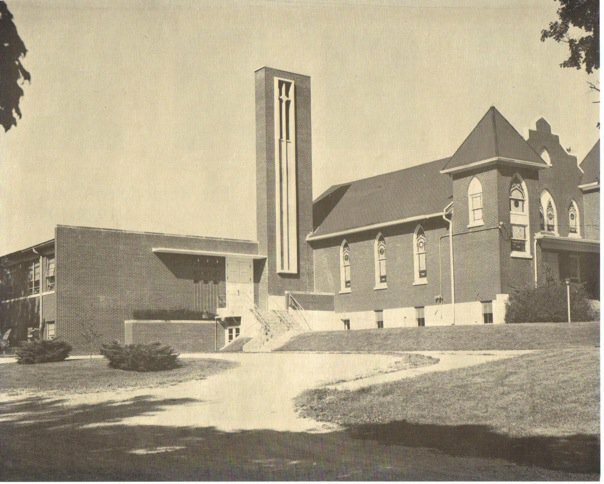 A sanctuary which now houses a part of the current Christian Education classrooms and choir room was completed and dedicated in 1928. The effects of the Great Depression of the early 1930’s left Beulah in financial difficulty. 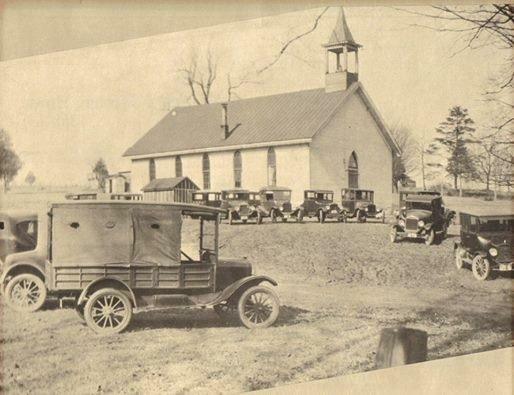 To meet a portion of the debt incurred in building this structure, the church was forced to sell 13 acres of land that had been left to Beulah in Miss Guthrie’s will. As the congregation grew, Beulah continued to add and update its buildings to meet the needs of an active congregation. A new Christian Education Building was added in 1950. This building houses Sunday School rooms and classrooms used by Beulah Preschool. The present sanctuary was dedicated in 1965. The Ramsey Christian Activities Building was completed in 1977. With its multiple rooms, kitchen and gymnasium, this building is used throughout the week for many church and community activities. The building was named in honor of the Reverend William A. Ramsey, one of 16 ordained and installed pastors to serve Beulah. Our heritage is, of course, more than our buildings. The church is the people, in service to Jesus Christ, through service to the community and the world. Beulah was a founding member of the Fern Creek/Highview United Ministries which provides assistance to struggling individuals in the community. The year 2008 saw the completion of a new facility for Fern Creek/Highview United Ministries which was built on property provided by Beulah. The church continues to support the ministries through financial gifts and through the volunteer efforts of several members. In 2010, the Open Table Ministry was begun at Beulah to provide the blessing of a free dinner each Tuesday night to anyone in need. This is a shared mission with Fern Creek United Methodist Church, local Southeast Christian Church Bible Study groups, and Trinity World Outreach. Beulah continues to respond to many current concerns through financial support for Presbyterian offerings and through volunteer and financial support to many local and worldwide causes. As we reflect on the history of our church, it is with great appreciation for those leaders and members who have gone before us and who have shown such faith and determination, often during difficult times. We honor them as we continue to grow in our faith and to put that faith into practice.